Currently, the United States places a high tax burden on capital gains income. 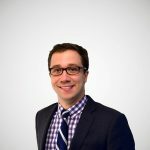 The current federal top marginal tax rate on long-term capital gains in the United States is 23.8 percent (20 percent top rate plus 3.8 percent tax on unearned income to fund the Affordable Care Act). In addition, taxpayers have to pay state and local income taxes on their capital gains income from zero percent in states that do no levy an individual income tax to as high as 13.3 percent in California. 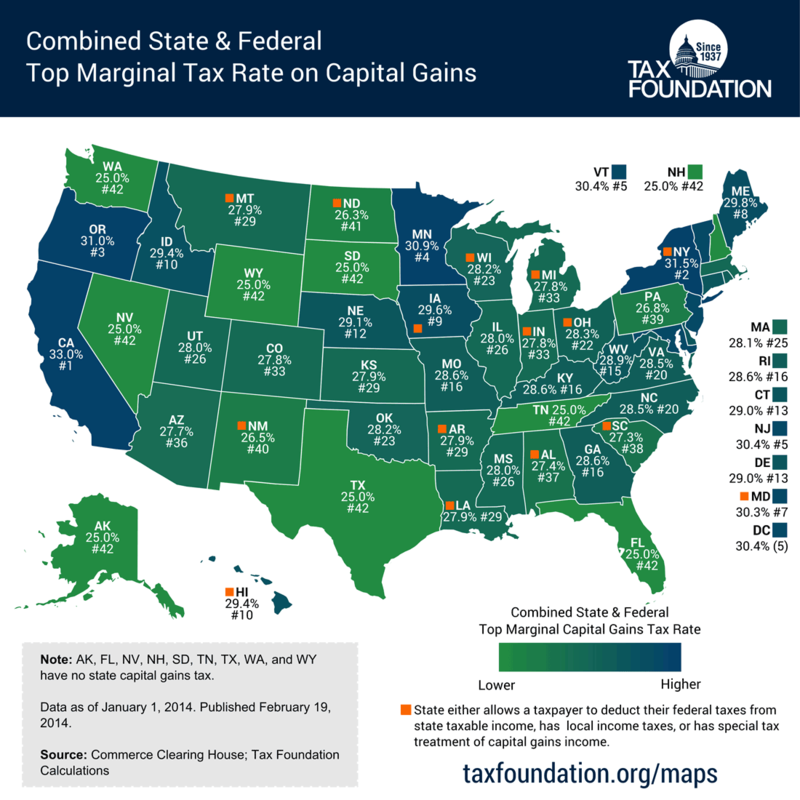 Taking into account the state deductibility of federal taxes, local income taxes, the phase-out of itemized deduction, and any special treatment of capital gains income, this map shows the combined federal, state and local top marginal tax rate on capital gains by state. The state with the highest top marginal capital gains tax rate is California (33 percent), followed by New York (31.5 percent), Oregon (31 percent) and Minnesota (30.9 percent). The nine states with no personal income tax (Alaska, Florida, Nevada, New Hampshire, South Dakota, Tennessee, Texas, Washington, and Wyoming) have the lowest rate in the United States (25 percent). The average across all states is 28.7 percent. It is also worth noting that every U.S. state has a top marginal capital gains tax rate higher than the average of the 34 member countries of the Organization for Economic Cooperation and Development (OECD) of 18.2 percent. Click on the map to enlarge it. View previous maps Tax Foundation.